The trays are molded in high-quality polypropylene in order to minimize adsorption of proteins and interference with sensitive enzyme reagents. Furthermore, polypropylene is autoclavable. OCTALINE is a disposable tray designed for staining membrane strips, e.g. Western blots or dot blots. The 8 troughs are spaced for use with standard dispensing equipment for 96 well microtitre plates. The troughs are shaped for minimal reagent requirement (typically 0.5 or 1 ml. per strip). 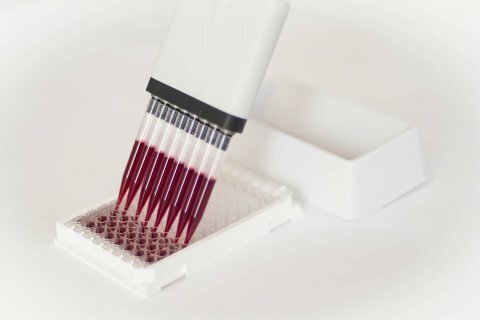 The use of Octaline saves expensive reagents as the staining of blotted proteins depends on the concentration rather than the volume of the antibody or enzyme conjugate. The trays eliminate time consuming and potentially inadequate cleaning procedures. This ensures reproducible results. The white polypropylene allows for optimal inspection of results. 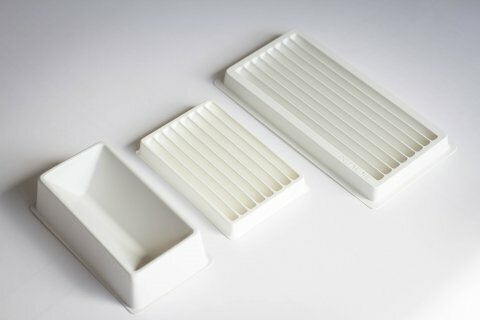 The clear polystyrene lids minimize reagent evaporation and allow the trays to be stacked. This maximizes the capacity of the rocking platforms which must be used during incubation to ensure proper staining. 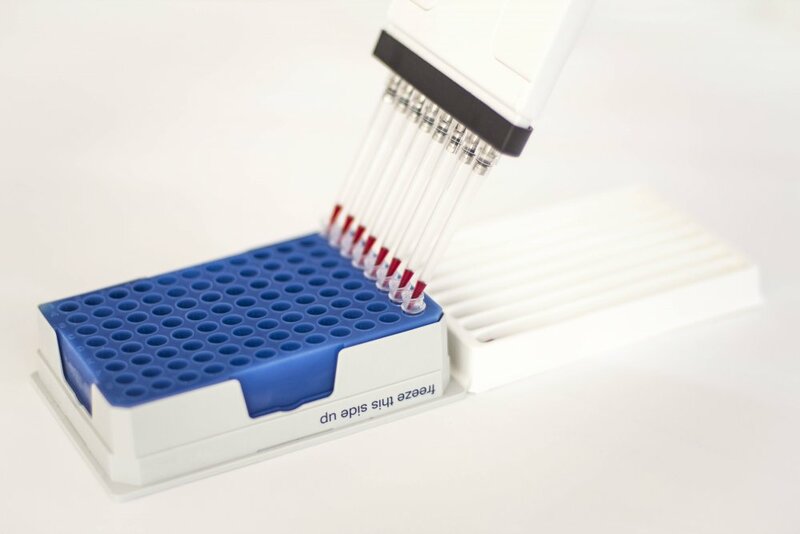 The trays are ideal as reagent reservoir in ELISA where different reagents og reagent concentrations are used for each row. The trays are available with a trougt length of 17 cm, designed for the staining of strips from conventional, large size SDS-PAGE gels, as well as with a trough length of 10 cm and an overall dimension identical to the standard micro-titre formate. Tecnical hint: It's important that the strips are placed in the troughs with the "front" facing up - the front meaning the side which faced the gel. Even though polypropylene adsorbes only little protein it is advisable to pretret with a blocking agent, e.g., Tween 20 or albumin, or to include such in the buffer. OCTATRAY is a 100 ml disposable v-shaped reagent reservoir for use with 8 and 12 channel multipipettes designed for use in ELISA and cell culture work. They are suitable for any procedure that makes use of the standard 96-well configuration, as well as for Octaline. Tecnical hint: Even though polypropylene adsorbes only little protein it is advisable to pretret with a blocking agent, e.g., Tween 20 or albumin, or to include such in the buffer.